Saskatoon, SK, March 19, 2013 – The Radisson Hotel Saskatoon has been awarded the prestigious Radisson President’s Award and been selected as the 2012 Radisson Hotel of the Year for the Americas by the Carlson Rezidor Hotel Group, which operates more than 330 hotels worldwide under a number of brands including Radisson. The Radisson Hotel Saskatoon is owned and managed by SilverBirch Hotels & Resorts. 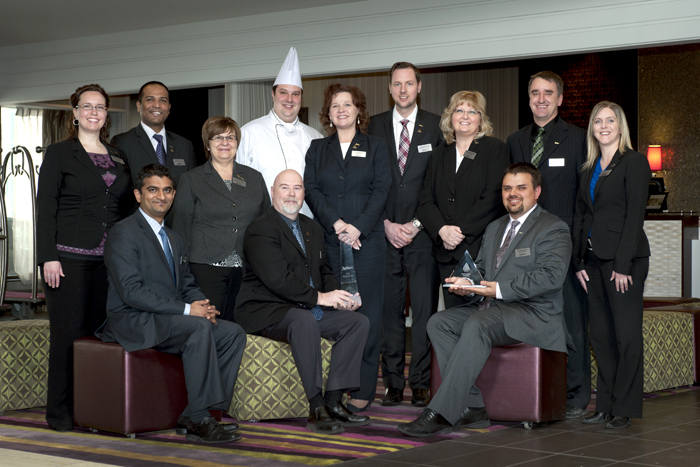 The Radisson President’s Award is a symbol of outstanding quality for Radisson and recognizes hotels that have excelled in guest services and product performance. The Radisson Hotel of the Year for the Americas award is given to hotels that demonstrate excellent quality performance, great guest satisfaction and great product delivery.